The Antigua online gambling jurisdiction is actually that of Antigua and Barbuda, a nation comprised of two separate islands that work together as a single country. They are known for their complaints to the World Trade Organization about the United States’ violation of the General Agreement on Trade Services, but they’re also known for being the first jurisdiction to open up and accept licenses for online gambling way back in 1994. The official regulatory body here is the Directorate of Offshore Gaming, and they are recognized as a white-listed body by the UK Gambling Commission. 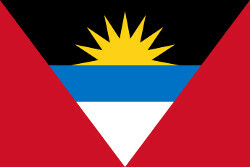 Like many online gambling licensing bodies, the Directorate of Offshore Gaming in Antigua and Barbuda have two types of licenses. One type is available for actual wagering from players, and this is primarily for the sites and operators themselves. The rules for this license includes things like how player funds must be handled, how operating funds have to be handled in terms of accounting, which advertising standards must be met and other issues that are specific to offering online gambling services directly to players. Most of their issues licenses are of this type because of the large number of operators out there. The second type of license is for gaming companies in general, and this applies mostly to software developers. The forms of testing that this type of license leads to are a bit different because they’re primarily based around the software itself being secure, the games offered being fair and the controls for the games being limited to branding customization and other cosmetic features instead of being able to change payouts or other integral parts of gameplay. If a software company can’t pass this type of extensive testing, then they simply will not be granted a license in the first place. The Antigua online gambling jurisdiction has worked with other jurisdictions and regulatory bodies to try to create international relationships. This includes a deal with the Kahnawake Gaming Commission where companies can receive authorization to run their operations from either jurisdiction, and this helps to add flexibility and overall strength to both regulatory bodies. Overall, these types of relationships are a big step towards creating standards on an international level that are sorely needed at this stage in the game where different jurisdictions can have completely different rules for what it takes to become licensed. Sloto'Cash Casino offers a wide selection of promotions and bonuses including No Deposit bonuses, Highroller bonuses or special weekly promotions that change every week.